After gaining a postgraduate degree at the Royal College of Art in 1980, Keren worked as an illustrator, specialising in lino-cuts. For the last thirteen years she has turned to painting. 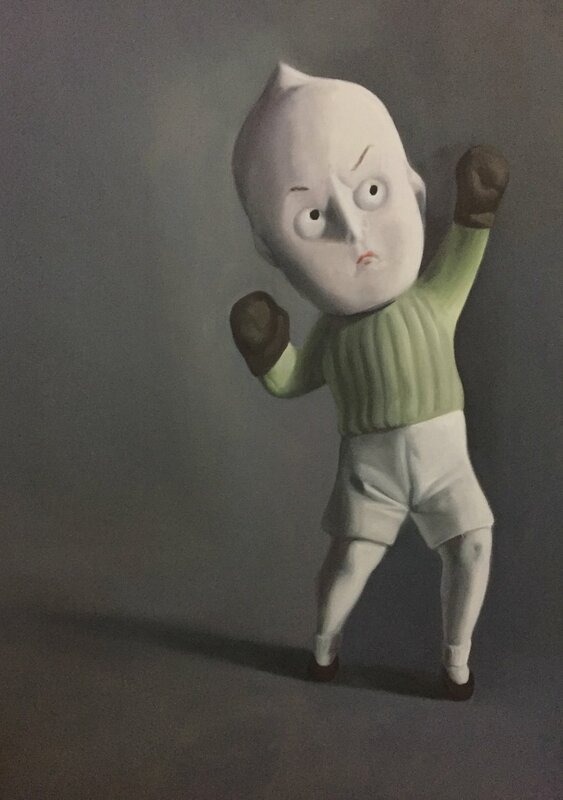 Keren specialises in realist oil paintings of belongings, including toys, boxing gloves, clothing, jewellery, shoes and ornaments. The pastel and charcoal studies for the paintings are also exhibited, along with life drawings and archive lino-cuts. Commissions are welcomed. Paul Smith owns a large collection of her paintings which are displayed in his shops and offices worldwide.